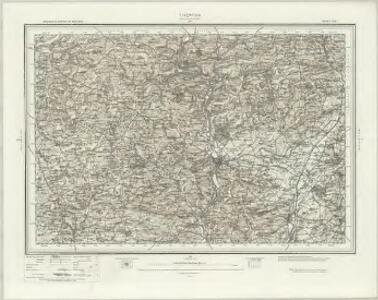 The Ordnance Survey drawings show a greater preoccupation with the lie of the land than earlier maps. Relative relief and natural cover were important considerations in the planning of military strategies. The heavy brushwork interlining ('hachuring') on this drawing makes many place names and details difficult to interpret. The Ex River is shown running through the area. Part of the river forms the county boundary between Devon and Somerset, shown here by a red dotted line.